Self-balancing scooters probably brought about a revolution in the sphere of transportation by offering a smart, cost-effective and clean source of personal transport. Equipped with batteries, these scooters can take on short distances and can ferry loads of tens of pounds along with the rider, thus eliminating the need for using a car or a bike. 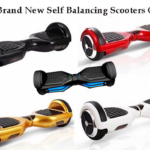 Moreover, these self-balancing scooters can even be used inside buildings for travelling along corridors or hallways. These scooters are an absolute entertainment for kids, who dream about riding on wheels everywhere they go. 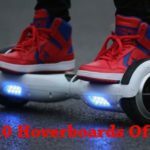 In this list, we have compiled 5 best self balancing scooters of 2016 with a price tag of $500 and less. Probably the best self-balancing scooters of all 5 mentioned in this list in terms of speed and range, this pocket sized power house can deliver an astounding cruising speed of 10 miles an hour: a feat achieved by Lithium 110 Wh battery, which provides a battery backup of about 5 hours, after fully charged (it takes only an hour to get fully charged). Built in safety features like off balance notification will kick in if the rider tries to ride it with one foot on board. This scooter is pegged at $499.99 at online retail giant, Amazon. A bestseller from the online retail giant Amazon, this scooter ride on 6.5-inch wheels with inflatable tires, which is great to take on smooth surfaces, but inadequate for off-roading purposes. 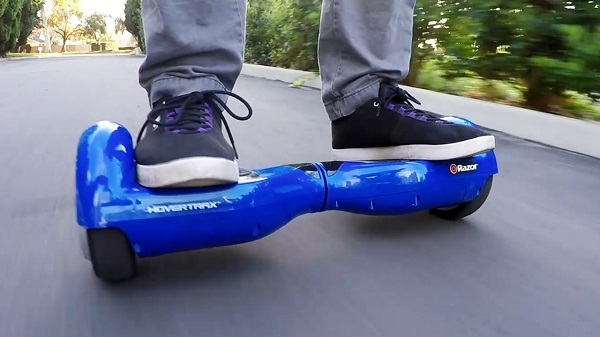 With a top speed of 8 miles an hour, the rider can comfortably master this scooter within minutes of stepping foot on it (there is no beginner’s mode for learning how to ride). Safety has been given a top notch which is indicated by the use of bright LED lights to improve visibility; LED warning lights have also been provided to read out the levels of juice available. 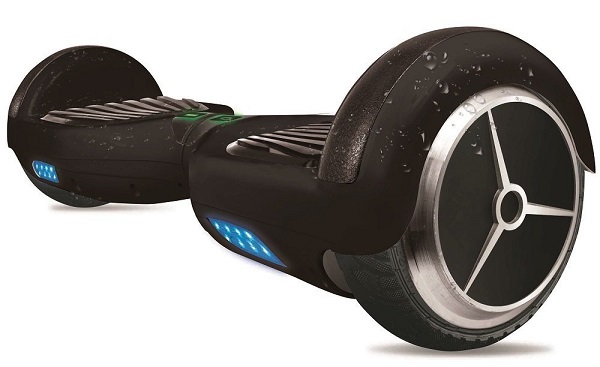 This scooter from Hoverboard is also priced at $499.99 on Amazon. 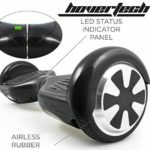 Available with 10-inch inflatable wheels, this self-balancing scooter can handle a few bumps and bruises on the way, but is still unsuitable for typical off-roading. With a top cruising speed of 10 miles an hour, this scooter can offer both fun and recreation for commuters and adventure seekers alike. 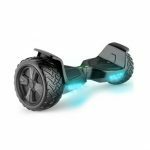 Available with other features like LED lights, and Bluetooth speakers, the price of this scooter varies from $649 on Amazon to below $500 (discounted) on other online retail corporations. This self-balancing scooter doesn’t offer anything much then its counterparts; the only place where it stands out is the price. Available with pretty standard battery kit, it has a modest output of about 6 hours and offers a cruising speed of 10 miles an hour. LED lights, in-built gyro technology, and one year manufacturer’s warranty makes this a pretty decent piece of equipment at $439.99. Another pocket-sized powerhouse, this self-balancing scooter is an example of what a company, notable for introducing scooters in the beginning of the 21st century (which have gradually created a revolution in the field of personal transport), can deliver when it combines smarter ways of transport with entertainment. This scooter is a perfect balance of safety, green energy, and recreation for those who seek a bit of open air in their monotonous routines. 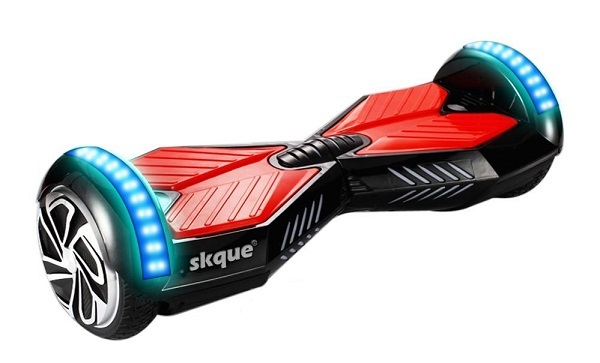 Equipped with a battery kit, which can last 115 minutes, it offers a decent speed of 6 miles an hour. It also comes available with a pretty aggressive braking system, which, however, can throw riders off the scooter if not properly handled. 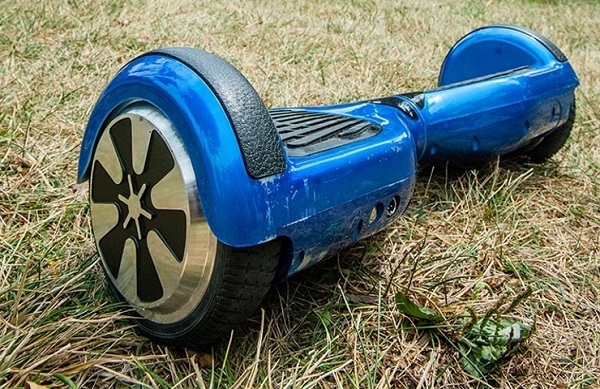 This little scooter boasts of durable plastics than its counterparts and comes with a price tag of 499.99 dollars. 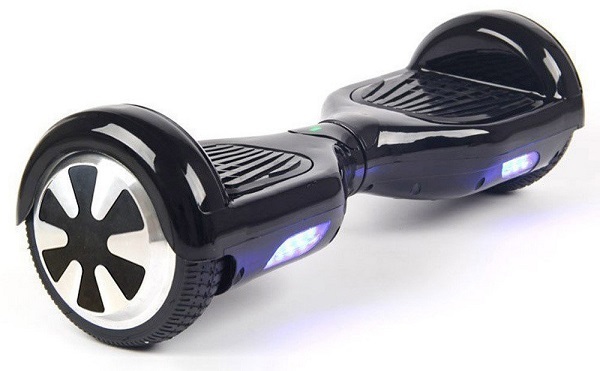 Select the perfect self-balancing scooters from the list of these scooters priced under $500. Hope that you find the best scooter within your budget.